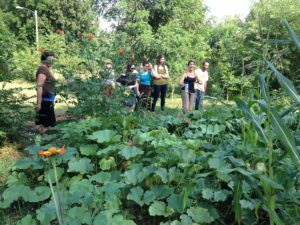 As an AmeriCorps Project Conserve member serving Organic Growers School, I tend to think about conservation across landscapes, with thoughts that run to community and the ecology of community. Natural plant communities are an interdependent grouping of plant and animal species living together in a specific area at a particular time and occupying a limited habitat. Plants, like other organisms, don’t live in isolation; they coexist and interact in myriad ways. 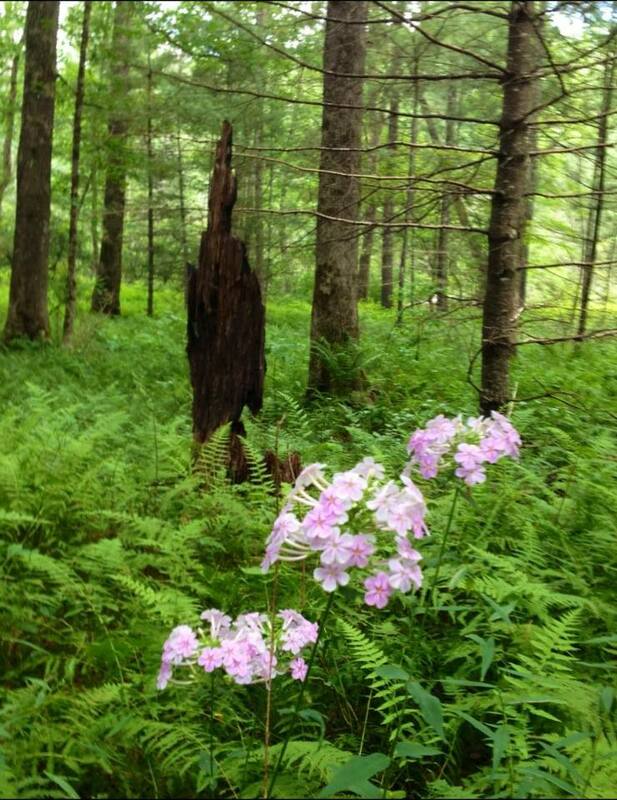 Walking in the woods of WNC, I marvel at this interaction: the smell of the dark, damp soil that ferns grow in, sheltered from the midday heat by rhododendron growing tall and gangly to compete for the sunlight a stand of pine gobbles up in the canopy. The existence of these communities is dependent upon a symbiosis unique to that community. 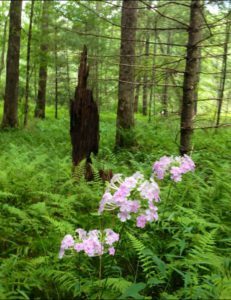 And when something in the environment changes, natural plant communities themselves adapt, called “succession,” resulting in ecological resiliency. e with the way nature works, rather than working against it. Did you know that plants talk to each other? A new study conducted at the University of Aberdeen in the UK, found that plants actually communicate with one another through the soil. When vegetables are infected with certain diseases, they alert nearby relatives to activate genes to ward off the disease as it encroaches. The key to this communication is a soil fungus that acts as a messenger. Symbiosis. Communication. And Native Americans have long enjoyed the fruits of their “Three Sisters” plantings: Corn, growing tall and sturdy, upon which beans climb happily toward the light, while ground squash prevent weeds and hold moisture in the soil. Community. And in replicating what works in nature, resiliency. 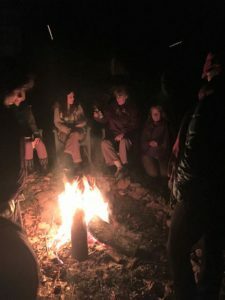 crackling, warming fires of a crisp night to talk about farming as women. We “Meet-up” and speak up over the aroma of fresh brewed coffees in a local cafe to overcome politics. We wander the woods together, Iphones focused on the miracle of up-close photos depicting things we never knew before about our environment. And amongst each other: What can you teach me that I don’t know? How can I support your dreams? How can each of us play a part in a whole? How do we manage succession with resiliency? Communication. Community.